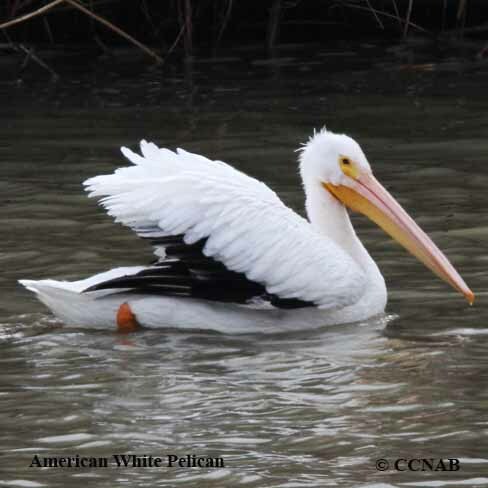 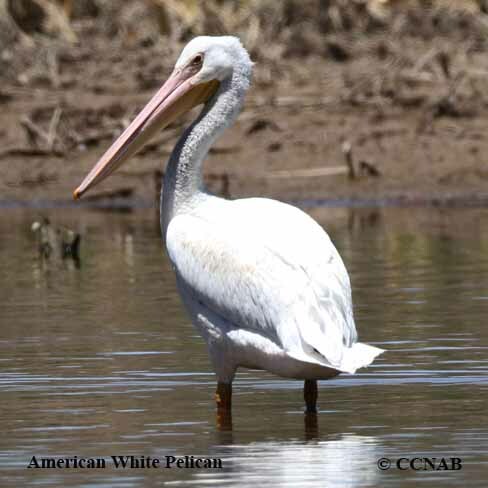 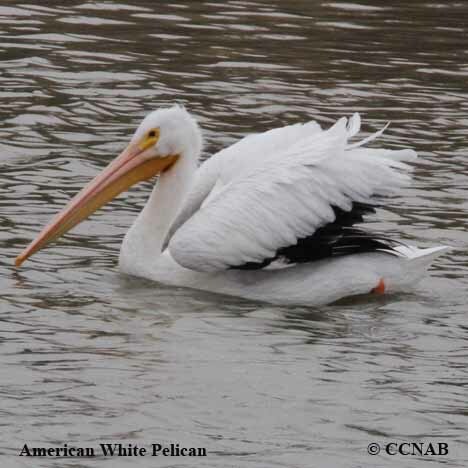 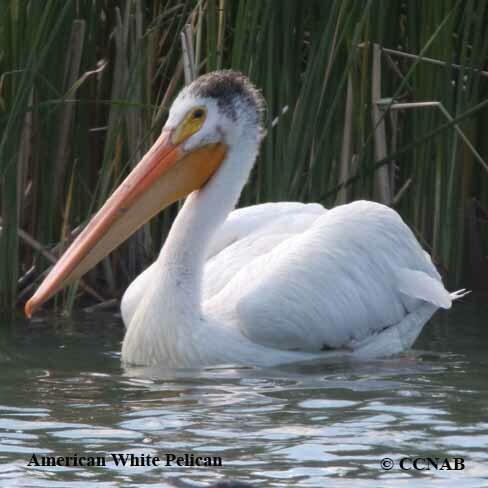 Distribution: The American White Pelican has the widest wingspan of all the birds in North America as they measure over 9 feet. 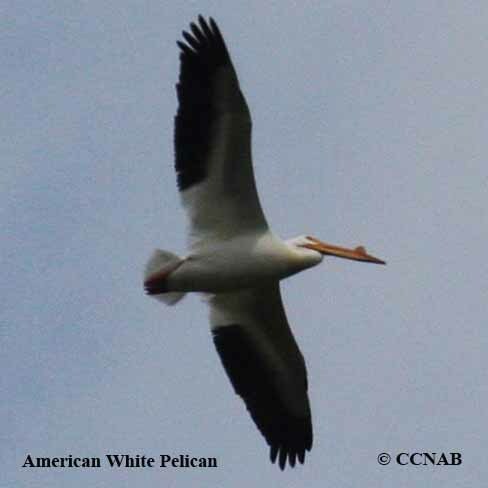 In breeding season it is seen in huge numbers on the Canadian and US plains, nesting on the rivers and lakes unlike the eastern and western Brown Pelican which nests on the coast. 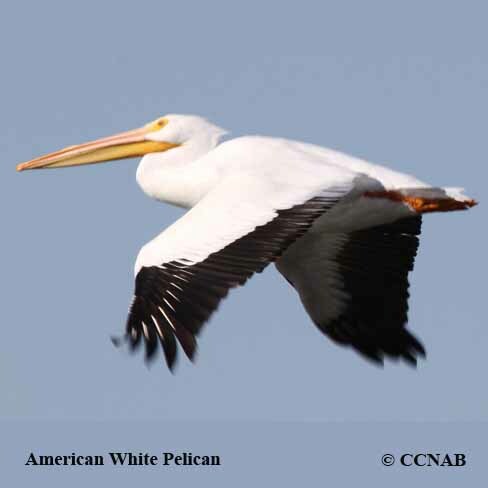 Only during the winter months will it likely fly to the Pacific and Atlantic coast or the Gulf of Mexico to wait out the colder months.